Alena Nagyová, Peter Korim, Daniela Takáčová - Legislatíva potravín a krmív. All knowledge and theory in biology has originated from observation and experiment. As a result, laboratory and fieldwork are important components of training and successful students develop a number of skills. Biology is a practical science. Practical work must be fully understood and effectively presented, but many students under-perform because they lack basic laboratory skills. This book help to provide students with easy-to-use guidance for laboratory and field studies, but in addition it covers broader transferable skills. 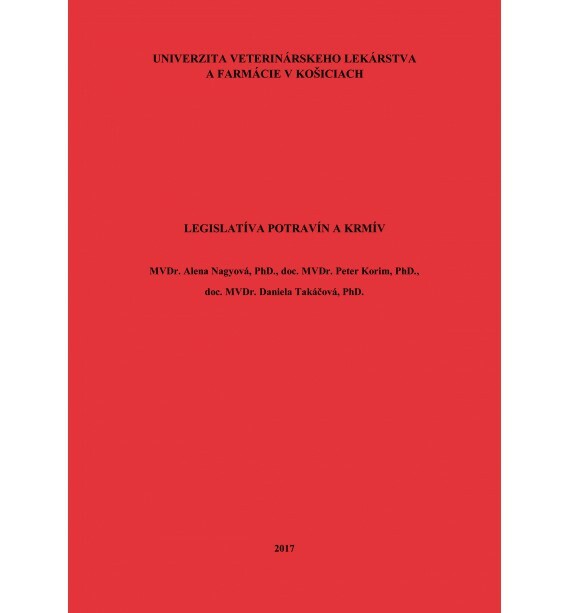 The textbook „BIOLOGY – Practical Lessons” is designed for the students of the 1st year of General Veterinary Medicine at the UVMP in Kosice.